Maureen Mobarak specializes in the sale of new and existing homes in the neighborhoods throughout the North Side, including Lincoln Park, Gold Coast, River North, Lakeview and Bucktown/Wicker Park. She is a skilled negotiator, and her commitment to listening and serving the needs of her clients sets her apart in an industry built on service. Maximum Online Exposure for Every Listing! Maureen points to her tireless work ethic, excellent communication skills and friendly, empathetic nature as reasons for her continued success. 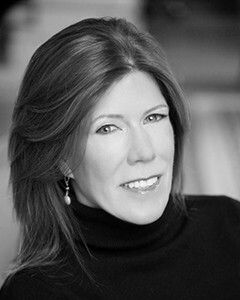 As a seasoned real estate investor with over 10 high-end properties under her belt, Maureen is a trusted advisor, thoroughly explaining the home selling process and employing @properties' technologically savvy marketing platforms to give her clients a much-needed edge in a competitive marketplace. Having lived in Chicago for over 20 years and a mother of a young family, Maureen has an intimate knowledge of the school systems, restaurants and diverse neighborhoods, having personally lived in many of them. She enjoys working closely with her clients with genuine trust and communication to find the home of their dreams. Raised over $20,000 for The Leukemia & Lymphoma Society while running the NYC, San Diego, and London marathons. Contact Maureen Mobarak at any time of day to discuss your personal real estate needs. "Maureen is the proverbial "unstoppable force" in many ways. She is exceptionally resourceful and has a work ethic that is difficult to fathom. But where she truly excels are the soft skills, in particular communication and building relationships. We were under contract within 6 days for the highest value in our building's history! ... in no small part due to her diligence and skill in reaching out and following-up with every prospective agent and buyer for our condo multiple times and within hours. Overall, Maureen has been a valued guide in the sale of our home and as we have looked for a new home in Lincoln Park. And we are fortunate for it." "I am 64 years old, have sold and bought many times throughout my life, I have never had a realtor as impressive as Maureen Mobarak. She is very knowledgeable, and has stellar marketing skills. She works tirelessly to stage her properties, and expose her listings in a timely manner. Maureen has been remarkable, aggressively helping me in a quiet and responsible manner, while setting up realistic expectations, listening very carefully to my expectations, and to those interested in my property. Her follow up is timely, and her interest in her clients, and potential buyers, is warm and genuine. My home was under contract in about two weeks, and is due to close in a month. I would not hesitate to recommend Maureen to both a buyer and a seller." "Maureen is a spectacular agent. She works like a dog to find you the right home or to sell your home. There is no "quit" in her and she has a knack for overcoming any obstacles in her way or for finding a middle ground during a tough negotiation. My wife and I are so happy to be working with Maureen." "Maureen went above and beyond on many occasions. She was instrumental in getting my condo ready to go on the market. Due to her excellent marketing, there has been a lot of interest and Maureen has made herself available at any time of day or evening for showings and potential buyers. In the meantime, she helped us find the perfect new home and negotiate the best deal in a multiple offer situation without overpaying. She followed up at every turn to keep the listing agent and sellers happy with how things were moving along. We couldn't be happier to be working with Maureen!" "I first met Maureen at an open house. I stopped into while walking around the neighborhood and was immediately drawn to her warm, personable demeanor and her professionalism. Maureen was the first person I called when we happened to walk by a home we were interested in viewing. Maureen is a fair and effective negotiator, resulting in us purchasing our dream home at a great price. Maureen worked well with the listing agent and went above and beyond every step of the way, including making a point to meet the appraiser, attend the inspection and others we requested to assess the property. We also listed our previous house with Maureen, and she went above and beyond to help us sell our home with impressive results. From her recommendation on pricing, to her market knowledge and marketing, to the staging of our home, Maureen was best in class. She hosted the open houses and had beautiful, compelling marketing materials for potential buyers. She was instrumental in helping to arrange repairmen, painters and cleaners as needed throughout the listing days. We had multiple offers on our home, and it sold for above our asking price in 21 days! Maureen made the selling and buying of our homes as stress free as it could be. Huge to me is that she was accessible and responsive during what is often a time sensitive process. I should also mention as an added example of how Maureen was there for us every step of the way-- she brought us lunch and dinner on our closing/moving day, which was infinitely appreciated given the hectic nature of moving. We consider ourselves fortunate to have met her and would highly recommend Maureen to anyone bu"